Using balloons for outdoor structures – brutal! | All Things Balloon! Using balloons for outdoor structures – brutal! Using balloons for outdoor structures - brutal! 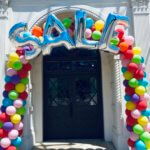 We advise our clients that balloons don’t do well in San Antonio’s brutal summer heat. 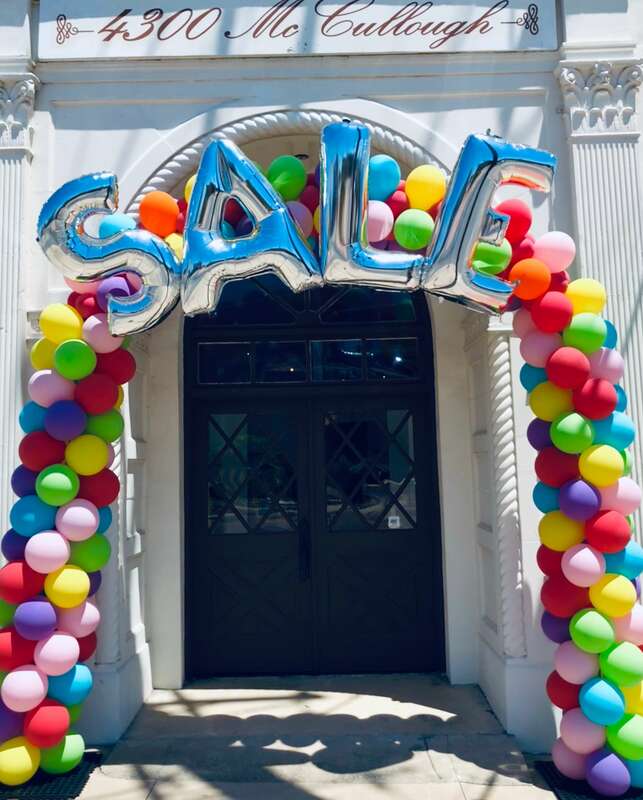 This beautiful arch, with 36″ foil letters proclaiming “SALE” lasted about 24 hours – the day after we installed it, they called us to take it down because it looked so bad. Even though we underinflated the balloons to help alleviate this problem, balloons left in direct sunlight tend to explode and deflate. The foils didn’t even last that long! Here are a few thing to think about when using balloons outdoors — especially outdoors in summer heat. If you can have the balloons set up in as much shade as possible, this would be great. Outdoor balloons work best for morning events, before the temp hits triple digits. You need to use the lightest colors you can – dark blues, dark greens and blacks are always the first to go. will substantially increase the price of the balloon creation. Balloons are really fragile, and are intended for indoor use. If you require them to be used outdoors, we will do the best we can to make them last. Do NOT be surprised to see that beautiful creation start looking really ragged after baking for a few hours in the brutal south Texas sun.